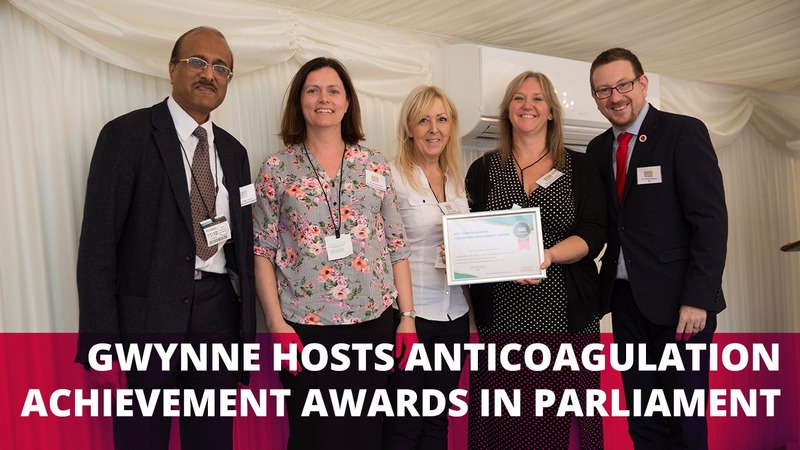 The inaugural award ceremony for the prestigious Anticoagulation Achievement Awards was hosted by Andrew Gwynne MP and Chair of the All Party Group for Thrombosis, in the House of Commons Terrace Pavilion. Held as part of the celebrations for World Thrombosis Day – a global movement to reduce the leading cause of preventable cardiovascular death. World Thrombosis Day is a year-long campaign that takes place on 13 October and focuses attention on the underappreciated condition of thrombosis. 1 in 4 people worldwide die of conditions caused by blood clots, also known by the medical term “thrombosis”– the underlying cause of the world’s top three cardiovascular killers: heart attack, stroke and venous thromboembolism (VTE). Organisers of the awards, representing leading charities – Anticoagulation UK, AF Association, Thrombosis UK and Arrhythmia Alliance, AiP national training establishment and Thrombus medical journal, were delighted that this first year had already attracted a great deal of interest and applications from exceptional services. “It was a real privilege to host these awards; as Chair of the All-Party Parliamentary Group on Thrombosis until recently I’ve had a unique insight into some of the amazing work of scientists and clinicians across the country.